A couple of clicks can help you spread the love to children in the hospital this Valentine’s Day. 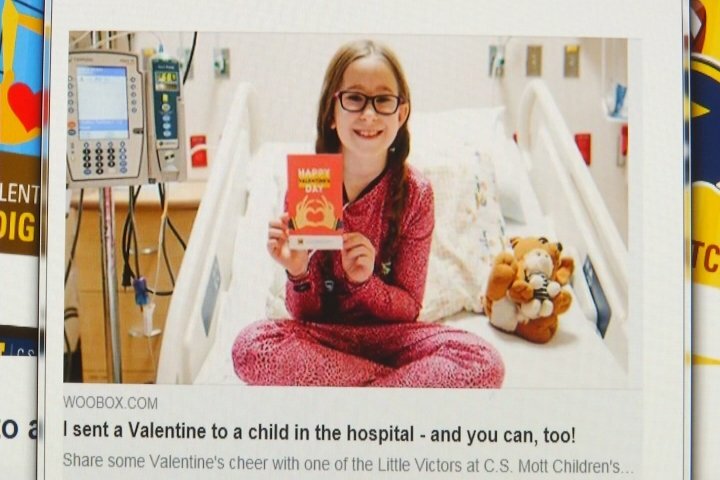 You can send a valentine to a patient at CS Mott Children’s Hospital here in Michigan. All you need to do is pick a design, fill out a short form, and you’ll make a child’s day. It’s all through an augmented reality experience. Patients and their families will be able to view these cool designs. To learn how to send a valentine, go here.